Whether you need barrettes for your purple hair, purple hair dye for your brown hair or accessories, we've got a lot of love for the top of your head. 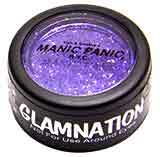 We recommend Manic Panic Purple Haze if you want a deep rich purple (sortof approaching plum) that'll last 1-2 months. 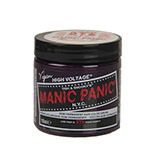 If your hair is really dark and you don't plan to bleach it, or if you want more vibrant purple hair, you can go for the Manic Panic Ultraviolet and it'll show up a brilliant dark purple in direct sunlight for several months. 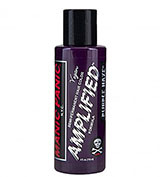 If you already have hair in our favorite color, add your picture to the Purple Hair Photo Gallery by e-mail. If you're thinking about joining those who've done it, here are some examples of dye options.